Lyra Belacqua is content to run wild among the scholars in Jordan College, her daemon familiar always by her side. But the moment she hears hushed talk of Dust, an extraordinary particle, she's drawn to the heart of a terrible struggle—a struggle born of Gobblers and stolen children, witch clans and armored bears. And as she hurtles toward danger in the cold, far Nother, young Lyra never suspects the shocking truth: her destiny must be fulfilled not in this world, but far beyond. 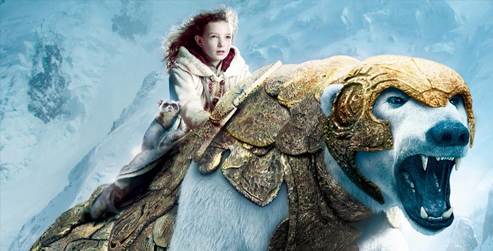 There are so many reasons that I love The Golden Compass, I barely even know where to begin. I’ve always been a huge fan of the idea of parallel universes and I think that The Golden Compass executes this concept miraculously. It’s almost as if this book catered to all of my hopes, desires, and thoughts. We’re given a new world and inside that new world are daemons: animal representations of peoples’ souls. Who wouldn’t want a daemon? I sure do, sign me up! Then, the book deals with some seriously complex and controversial issues that exist in our world and in this parallel universe, but in a slightly different way. It’s the kind of book that makes you think. Often when I’m reading the book, I have to stop for a minute just so I can absorb all the information and relate it to my own experiences in the world. This most often happens when Philip Pullman starts talking about Dust and the Church. I think about what’s happening in Lyra’s world, with the Church trying to control all the universes, stop free thinkers, and performing intercision. Then I think about our own world. I think about the Crusades, castration, circumcision, the Church’s stance on homosexuality, etc. This book encourages people to make connections and think about our own circumstances. 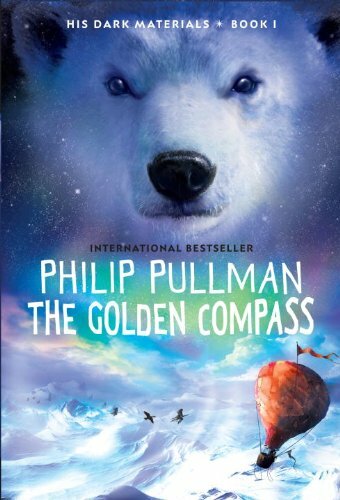 The Golden Compass is written in such a way so that a child could read the book and not fully understand all the intense meanings, but still love the book. 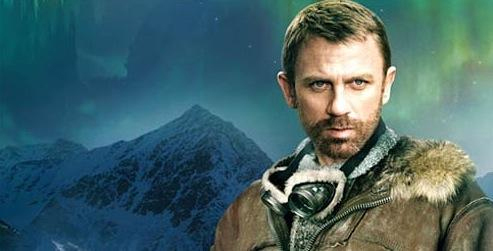 I first read The Golden Compass when I was maybe 13. At the time, all the intense topics about the church, castration, etc. blew right past me. I just saw an awesome adventure story, other parallel universes, and animal companions. Epic. But when I reread it years later, I had a completely different experience and was able to more fully appreciate the book with its various layers and complicated issues. From the very beginning Lyra is a very lovable and relatable character. At the beginning of the novel, she’s just having fun being a child. 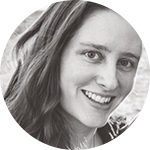 She’s playing with her friends, fabricating stories, and rebelling against her caretakers. Lyra is just out to have fun and do things her own way. She sees everything very black and white — right and wrong, good and evil. As the story progresses, she becomes a very determined girl and takes on massive tasks that most people wouldn’t dare to even attempt. She’s incredibly loyal to her friends, just as you hope your own friends would be. I definitely admire her fierce dedication, even when stacked up against impossible odds. This is one book that I will continue to read again and again! Will is also my all-time favourite character. I wanted him to be real so that I could be his friend when I was younger!